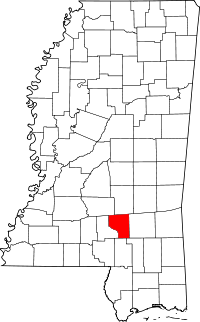 The Covington County Genealogical and Historical Society of Mississippi, a member based organization, operates a research library which contains approximately 125 historical books on the state, over 100 family histories, as well as county tax and census records, and a cemetery index online. The library is located in the Seminary Depot in the county seat of Collins, MS, and is open to the public by appointments only, which should be scheduled by . The Covington County Chancery Clerk, also in Collins, is the local government recorder and source of land, divorce, and all other records, except marriage, birth, and death, which are available from the Vital Records Department through the Mississippi State Department of Health. Copies of records via the department are available online, over the phone at 601-576-7981, in person at the office in Jackson, MS, or through the mail.